Don't miss out on this fantastic north side home on the lake! 3 bedrooms, 2 full baths, plus bonus room. Great room has a vaulted ceiling, new flooring & large windows overlooking a beautiful scenic view. Large eat-in kitchen is fully applianced, plenty of cabinet and counter space, breakfast bar, dining area, and is open to the great room. 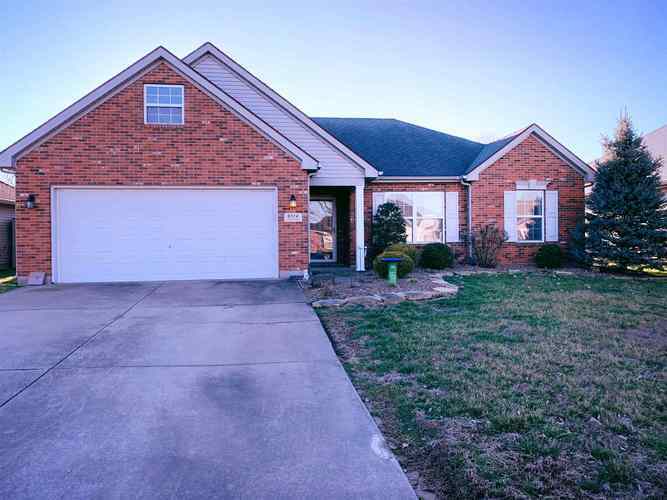 Over sized master has full bath, great storage, and a walk-in closet. The other 2 bedrooms are good sized. The bonus room offers so many options...hobby room, extra living/family room, play room or extra bedroom. All rooms have ceiling fans. Laundry room just off 2 car garage. Lovely landscaped and fenced backyard with a covered patio and an extra patio. Seller is offering a home buyer's warranty for peace of mind. Directions:From N Green River go W on Kansas, N on Seib and W on Clippinger.